To enjoy a better-than-normal Great Wall trip, China Highlights kindly offers you our best tips, from over 16 years of experience — our Great Wall 10 dos and 10 don&apos;ts. 1. 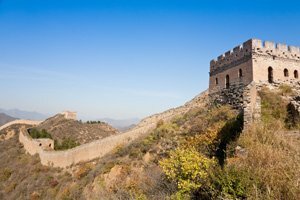 Do select the most suitable Great Wall section to visit. See our section comparison to help you make your decision. Take a hiking trip to appreciate the scenery. 2. Do check the weather before departure, and don&apos;t hike the Great Wall in bad weather. 3. Do go in spring or fall in good weather. Summer is the peak season with crowds and exhausting heat; winter is less crowded, but dangerously cold. 4. Do take a hiking trip on the wall to appreciate the scenery and get a real feel for this great historical architecture. 5. Do bring water and food if you are planning a long hike on the wall. 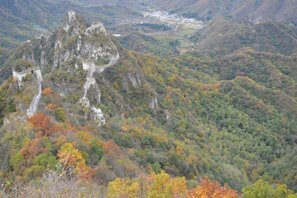 There are no shops on the wall, and restaurants are way down in the valleys. 6. Do prepare well for hiking — take walking poles, hiking boots, windbreakers, sun protection (sunscreen, hat, sunglasses), waterproofs etc. as necessary. 7. 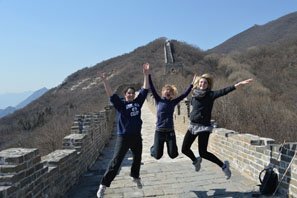 Do experience the toboggan slide way to descend the Great Wall if you visit Badaling or Mutianyu — especially if with kids. 8. 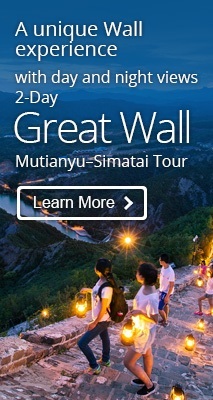 Do visit Badaling, Juyongguan, or Mutianyu if you have mobility issues. 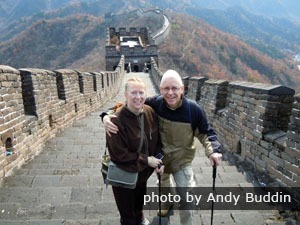 These Great Wall sections are (more) wheelchair-friendly. Badaling and Mutianyu have (fairly disability-friendly) cable cars up to the wall. 9. 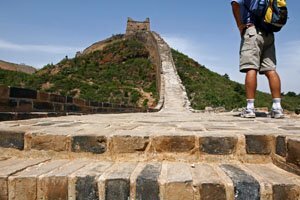 Do pay attention to your steps — be careful of slips, trips, and falls — and loose rocks/bricks at wild Great Wall sections. 10. Do bring toilet paper and use the valley restrooms before ascending the Great Wall, since there are no toilets on the wall. Prepare well for your Great Wall tour. 1. Don&apos;t wear open-toed shoes to hike the Great Wall, even in hot summer — protect your toes! 2. Don&apos;t camp on the Great Wall, as it is dangerous/uncomfortable in inclement weather, and carrying lots of extra weight will dampen your hiking experience. Besides, this activity is not allowed in most places adjacent to the Great Wall. See Where to Stay Near the Great Wall. 3. Don&apos;t be fooled by tourist traps — the “Great Wall” group tours offered by drivers or “tour guides” by the road. 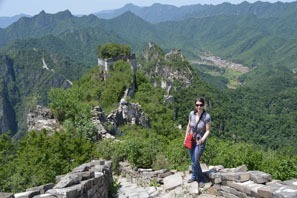 They may take you for a quick and low-quality visit to a Great Wall section you didn&apos;t ask for, with a long and tiresome round of commission earning stops. 4. Don&apos;t go alone to the wild Great Wall. Travel with friends to help one another, and find a professional guide to facilitate access and prevent getting lost. 5. Don&apos;t take photos from unsafe positions — first get a secure footing, and don&apos;t move about if you&apos;re standing near steep drops or loose rocks/bricks. Don&apos;t damage your camera, or yourself! 6. Don&apos;t visit the (popular sections of) Great Wall on weekends or Chinese holidays (in peak season). It can be extremely crowded at sections like Badaling. Take a photo on the Great Wall. 7. Don&apos;t leave rubbish on the Great Wall or on the mountains. Keep the wall clean, and then other travelers can enjoy the scenery. 8. Don&apos;t climb on the windows of watchtowers, especially unrestored ones that might collapse. 9. Don&apos;t run or walk too fast along the wall, especially when descending. Some bricks and stones might have loosened. 10. Don&apos;t expect too much of the facilities, especially at less-traveled sections: Jiankou, Gubeikou, etc. 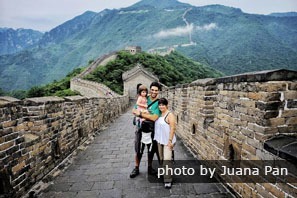 Or we can tailor-make a Great Wall tour according to your requirements.